Available on all but the base L trim, the new Kia Sorento AWD SUVS give drivers in Orange County access to the benefits of AWD from just $29,990 MSRP. This drivetrain can be powered by a number of different engines, including a 3.3L V6 with 290 hp. Other highlights include standard seating for seven passengers and available features like leather upholstery and heated seats. Find it for sale in Cerritos, CA today! 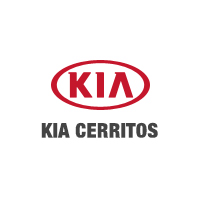 Get a Family-Friendly SUV for Less at Kia of Cerritos! There’s a lot to like about the Kia Sorento AWD. In fact, Car and Driver praised its ability to tow up to 5,000 pounds. Find yours right now near Carson at Kia of Cerritos, where you can look forward to professional service and a variety of advantages, including a free car wash with every service and flexible financing options. Lock in your price today, and contact us at (562) 860-2424. While you’re here, be sure to check out our comparison between the Kia Sorento and Toyota Highlander, as well as our selection of used SUVs for under $20,000.